YHA’s latest properties have continued to expand the limits of backpacking, with four cool new hostels opening across the country. Port Lincoln YHA, in South Australia, is a hostel built within a renovated squash court, with a near perfect customer rating of 98%, which houses a bit of a surprise: a giant replica Great White Shark which is mounted to the wall. Like many of YHA Australia’s 90 hostels, it goes the extra mile to pleasantly surprise travellers, offering artistic and decorative touches, free Wi-Fi, a bar and stylishly fun interiors. And, of course, this is where you can organise riveting tours to cage dive with real Great White Sharks or swim with Blue Fin Tuna. Port Macquarie YHA is the newest addition to the state of New South Wales. You’d be forgiven for thinking the hostel was a little more akin to a resort than a backpackers hostel. There is a focus on fun social activities, live music and BBQ nights, but the hostel is also the perfect place to unwind in the lush pool or a cosy cabana set in the tropical landscaped grounds. A visit to Port Macquarie is not complete without a cuddle at the town’s unique koala hospital. If you’d rather a deserted beach, then head to Mission Beach Retreat YHA. 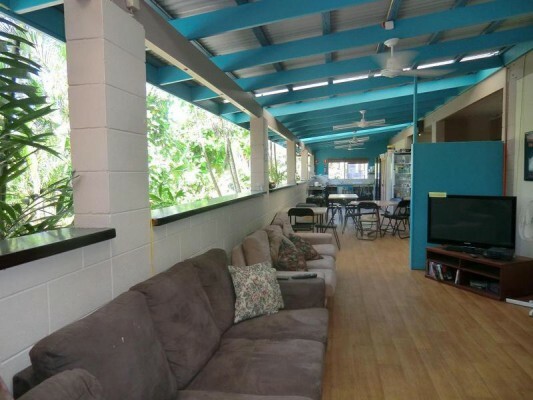 Situated in the northern half of Australia’s “sunshine” state of Queensland, the hostel is set amongst magnificent coastal scenery with a tropical climate. The newly-renovated hostel is a gateway to the Great Barrier Reef, and several World Heritage rainforests and National Parks that are accessible on walking trails from the hostels doorstep. Meanwhile, a few hours south of Melbourne, YHA has tapped into the beautiful southern getaway destination of Phillip Island. 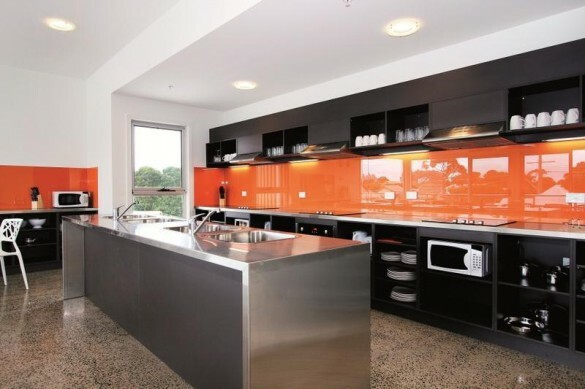 The award-winning Phillip Island YHA hostel is located in Newhaven, the first town on the island. This stylish, modern, purpose-built backpackers hostel offers comfortable lounges, large kitchen areas, open balconies and a rooftop deck. Home to the famous nightly parade of Fairy Penguins, Phillip Island is a hit with the locals too and a great place to experience the Australian lifestyle. Over 75 YHA Australia hostels are bookable on www.hihostels.com and they will all welcome you with their intangible quality, thoughtfully conceived common spaces, social events, and location to Australia’s most exciting destinations and unmatched wilderness. Penny and I are contemplating a trip down under and to most young people this wouldn’t sound like a big deal, but we are both retired (I military and she teaching). We are thinking about the mid January time frame and as we are new, would welcome any advice from those people who do this often. The hostels are really fantastic and superb, please let me know the rates monthly for a single room small. if you are planning a trip to Australia maybe it would be helpful for you to visit our Asutralian website http://www3.yha.com.au/ where you can find inspire me section with latest news, travel deals and other essential information. the room prices vary with the hostel and sometimes even with the dates but these are roughly around £15 a night. Just do it! We are in our mid sixties and in late 2010 we stayed in hostels all around Australia and loved it. We were not alone either – there are plenty of others in our age group doing it. Some hostels had great en suite facilities, others just private doubles and some more basic than others but all were welcoming and great fun.We are coming again next year we enjoyed it so much.